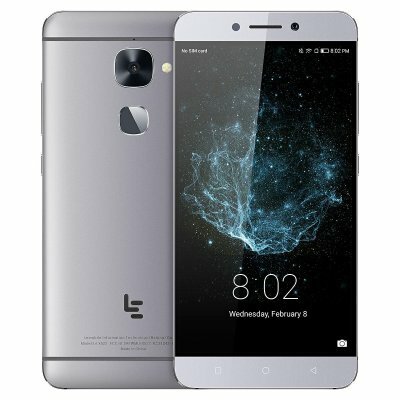 Successfully Added Original LeEco LeTV X520 Smartphone 3GB RAM 64GB ROM 5.5-Inch Android 6.0 3000mAh Mobile Phone(US Standard) Gray to your Shopping Cart. Fingerprint ID, Snapdragon 652 octa-core CPU, EUI 5.6 OS(base on Android M). 5.5-Inch FHD 1920x1080 screen, 3GB RAM + 32GB ROM. 16.0MP rear camera and 8.0MP front camera. 3000mAh, built-in battery, quick charge 3.0. Aesthetics ID breaking boundaries again, Rimless 3.0 genuine open unbounded visual era. Speed imaging precision focus, create extraordinary pictures experience. Le mirror fingerprint, not only high color value but also more diverse functions. Faster internet speeds, clearer voice calls. Note: This phone will not support android pay, if you don't accept it, please do not buy it, we will not accept any dispute about it. Charger: The rose golden and grey colors come with UK plug on the original box, the force golden will come with us plug, but we will add you the corresponding adapter to your country. NOTE: Right plug of adapter would be sent according to your shipping country, 1 x User Manual, 1x Eject Pin, 1 x Type-C to Earphone Connector.